Me with Amanda from Australia [left] and cookery teacher Katia [centre] at loveSicily. Lois from the USA [right] with Katia and Amanda. Bright and early yesterday morning [for 8.30 am is very bright and early for me] your intrepid blogger trotted off to Modica Bassa to join Katia of loveSicily and two other adventurous participants for the first cookery class of the week. Once we had all introduced ourselves and were chatting easily about the meaning of "life, the universe and everything", Katia revealed the lunch menu which we were to cook: cavatelli [cavatieddi in dialect] pasta with a broccoli sauce alla siracusana, chicken with Modican chocolate and tiramisù made with ricotta rather than mascarpone. Next Katia presented each of us with one of these implements. [I've been unable to find out what they are called. If there are any Sicilians reading this, please can you tell me?] You are supposed to sort of roll the pieces of pasta down the thingamy to get the cavatieddi shape. It takes a bit of practice! Once the shapes are made, they can be put aside until you are ready to cook them. Cover them with kitchen paper if you are going to leave them for a long time. Now for the sauce: First, soak some sultanas in water until they plump up. Simmer the broccoli in water with a little salt. Brown a garlic clove in olive oil and add the broccoli. When the broccoli is done add the drained sultana and season with black pepper. Cook the pasta for a minute or two in the broccoli water and drain. Add the broccoli and cheese to the pasta and stir. Should you, dear reader, decide to participate in one of Katia's enjoyable and interesting courses, you will partake of this and the other dishes for lunch on the balcony. However, another school and my eager students awaited your galloping gourmet blogger, so Katia popped my portions in a bag and I had a very special evening meal. I did not, however, take home a portion of pasta as I feared its fate on a bus travelling through narrow, twisting streets in the lunchtime chaos. Therefore I cannot show you a picture of the finished dish. She added this mixture to the pan with 3 dessertspoons of white wine vinegar and 1 dessertspoon of sugar. She then let it all cook on the hob for 30 minutes. It was delicious! We spread ricotta on top of this and sprinkled over a mixture of cocoa powder and cinnamon. The tiramisù was left to chill. Cincin, readers. Thank you for your company, Amanda and Lois. E grazie a Katia per la lezione divertente. "My son tried to do that but the bidelli [the ubiquitous porters who keep every Italian school running] told him to hurry up!" Moral: If you are going to issue new rules for children, it is a good idea to inform the adults who have to deal with them. A few weeks ago I contacted Katia of the loveSicily website and blog to ask her if I could visit her Cookery School in Modica Bassa with a view to writing an article about it for this blog. Imagine my delight when Katia not only agreed to my suggestion, but invited me to participate in one of her courses, starting later today [Monday]. Katia told us that Italy's health and safety police have turned their attention to cannoli. [Perhaps they get to taste some while they inspect pastry-making premises?] Pastry-makers traditionally used a kind of bamboo to form the pastry around and, as bamboo is porous, the cannoli cooked perfectly, inside and out. The stainless steel cannoli tubes that they are supposed to use now do not produce the same result and the pastry-makers are frustrated. Is nowhere safe from these silly rules? Thank you for your warm hospitality and for a superb dinner, Katia, Ronald and Angelo. See you later this morning! Perhaps you heard my sighs of contentment where you are, reader? Sorry there were no posts over the weekend, readers, but it has been a busy one. A fine set of translations of Joyce into many languages was also on display - the Franco Antonio ["Ciccio"] Belgiorno Collection. Cut some pumpkin into slices, wedges or any-old-how like me, then cut off the rind. Brush the surface of a griddle pan with olive oil and heat. When the griddle pan is hot, add the pumpkin [you may need to do this in batches] and cook until griddle marks appear on one side. Turn the pumpkin wedges or slices over and do the same again. Drain the cooked pumpkin pieces on kitchen paper. When they are all done, pile them on a plate, add some parmesan shavings and sprinkle over some coarse seasalt and ground red pepper. Drizzle with olive oil and serve immediately. 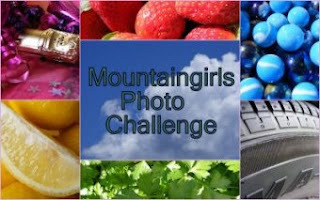 MOUNTAINGIRL'S PHOTO CHALLENGE - "FRUITY"
It's Friday and time for my friend mountaingirl's Photo Challenge. This week's theme is "fruity". And prickly pear liqueur is very fruity indeed! MOUNTAINGIRL'S PHOTO CHALLENGE - "CLEAN"
MOUNTAINGIRL'S PHOTO CHALLENGE - "GUIDE"
MOUNTAINGIRL'S PHOTO CHALLENGE - "ALONE"
POLL RESULTS - WHAT WAKES YOU UP?